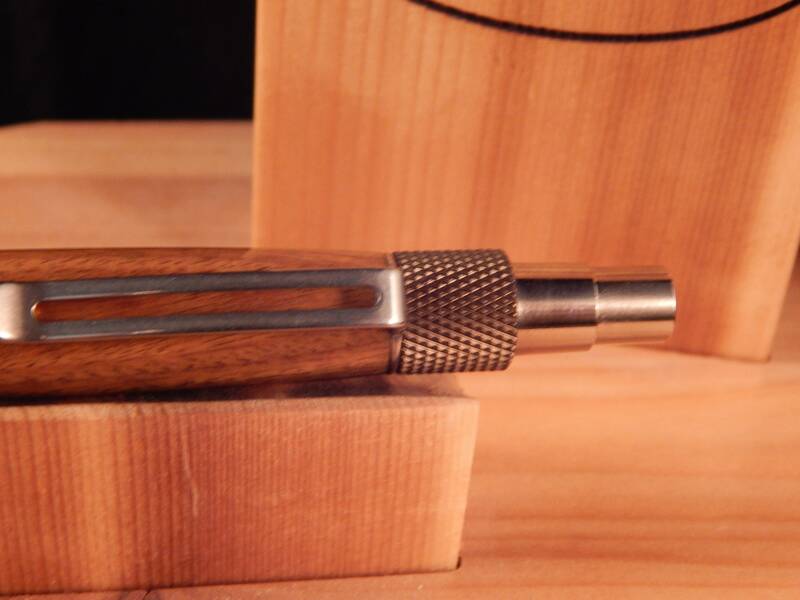 This Duraclick ballpoint has fittings made from 6061-T6 burnt bronze aluminum. 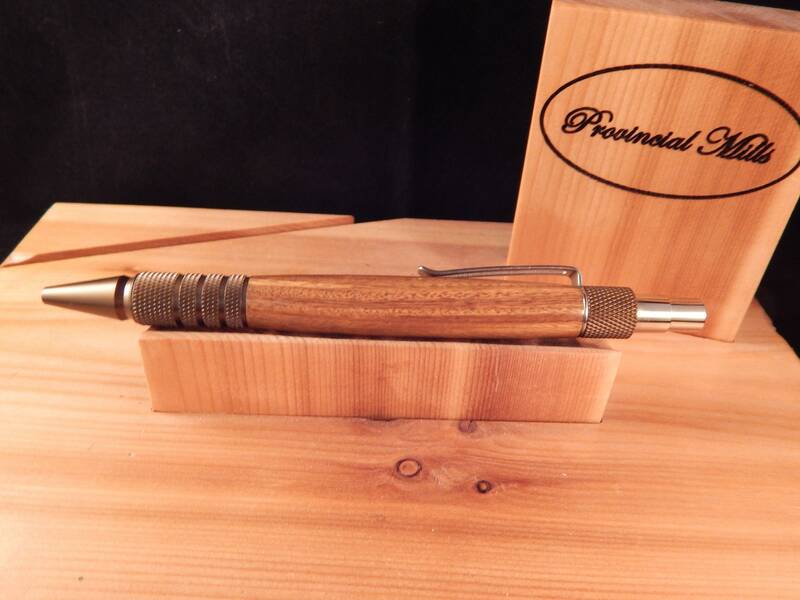 The pen was crafted from Lignum Vitae wood. 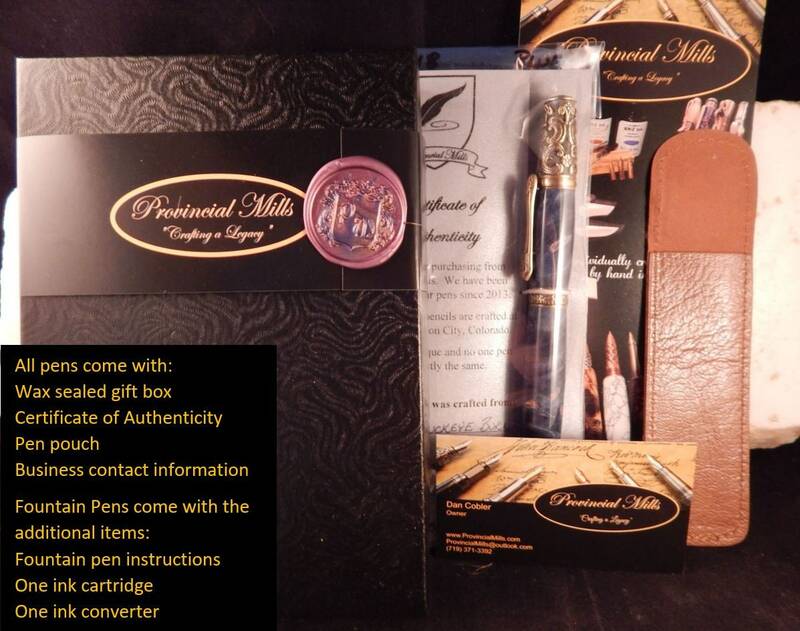 This pen features a metal Schmidt SKM-88 click mechanical assembly which is precision engineered in Germany. 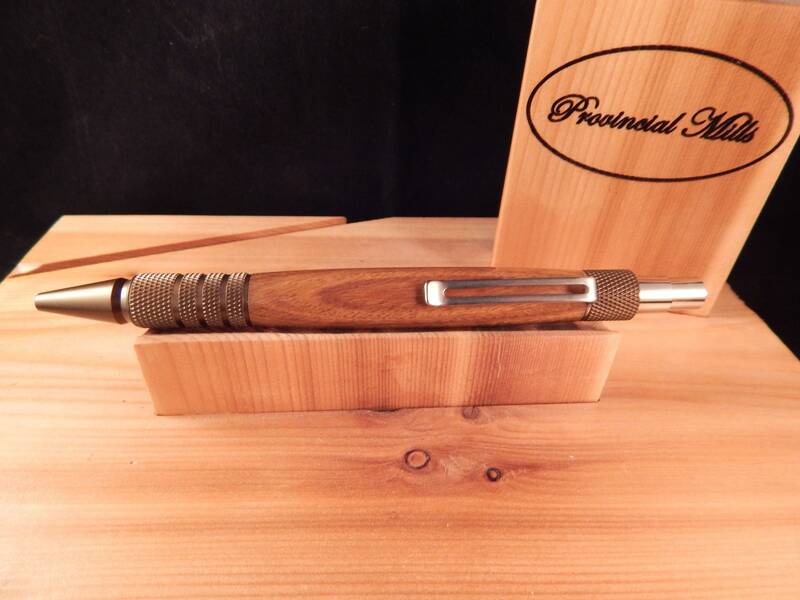 The fittings on the pen are machined from solid pieces of metal and there are no plastic parts to the pen (outside of the ink refill). 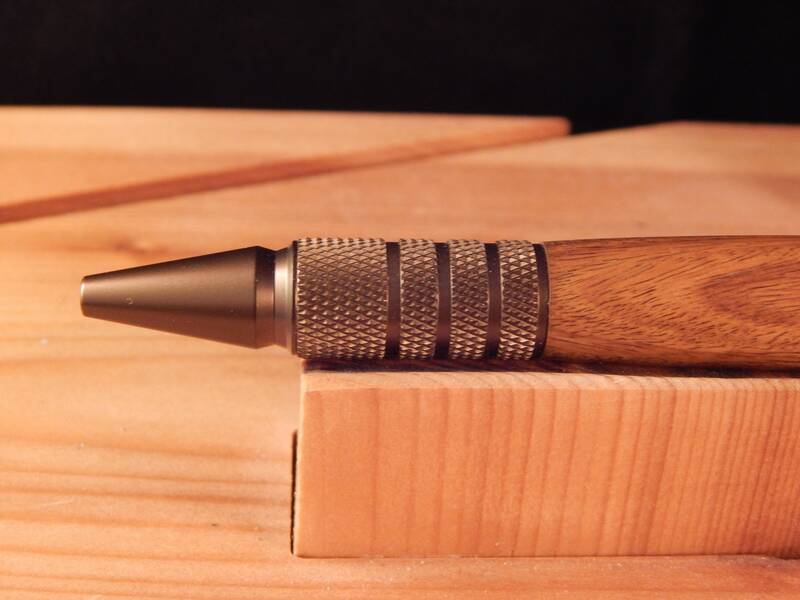 This pen is well balanced and has a knurled grip for easy writing. The pen takes a Parker style refill. There is a small extender on the end of the refill which will have to be transferred to the new refill when changed. Lignum Vitae is regarded by most as the heaviest and hardest wood in the world. This wood has exceptional durability when submerged in water or in contact with the ground. Due to this durability, the wood was used for numerous parts during ship making. 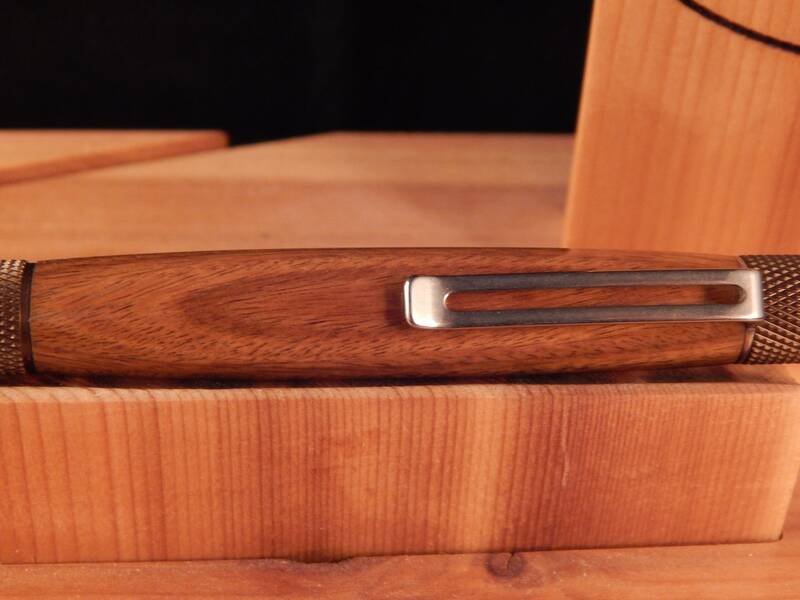 The wood is commonly used for tool handles, mallet heads, bearings, bushings, pulley wheels, and turned projects. Unfortunately Lignum Vitae has been over exploited and is not on the endangered species list. This particular wood was reclaimed and no trees were cut. Lignum Vitae is latin for tree of life or wood of life, which was derived from the tree's many medicinal uses.